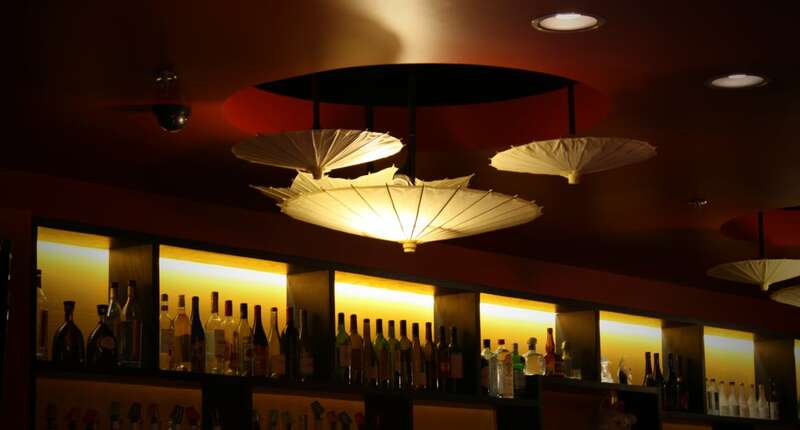 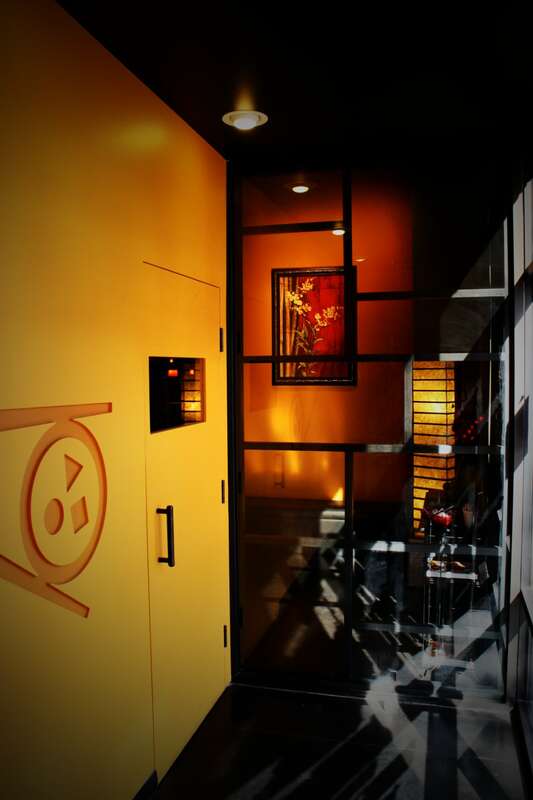 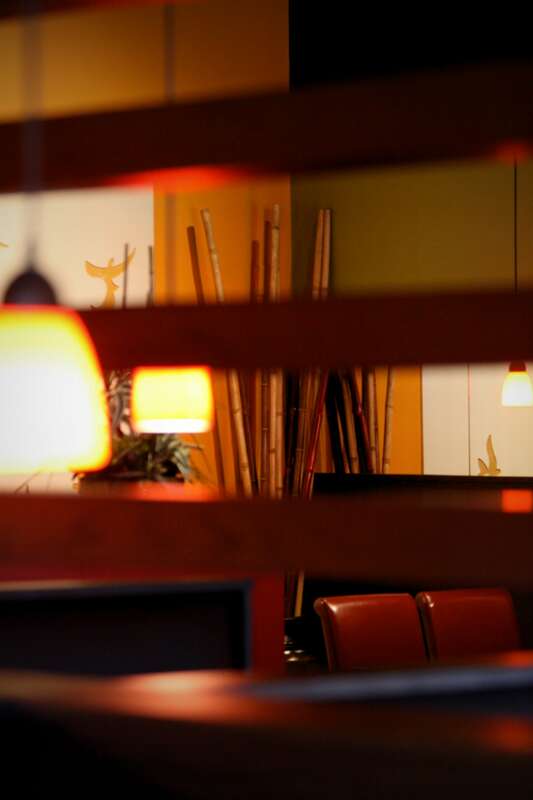 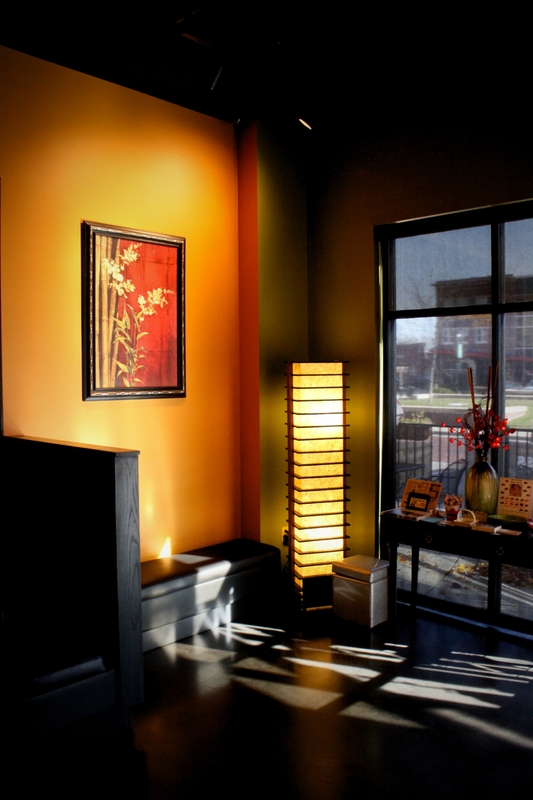 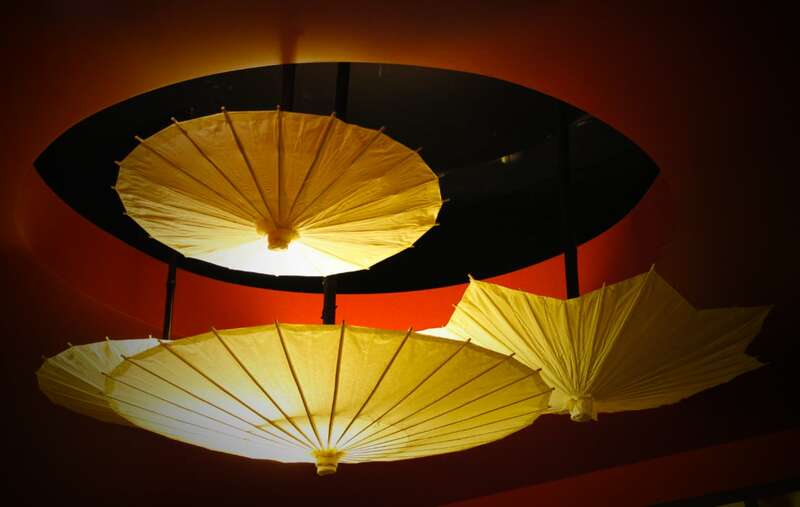 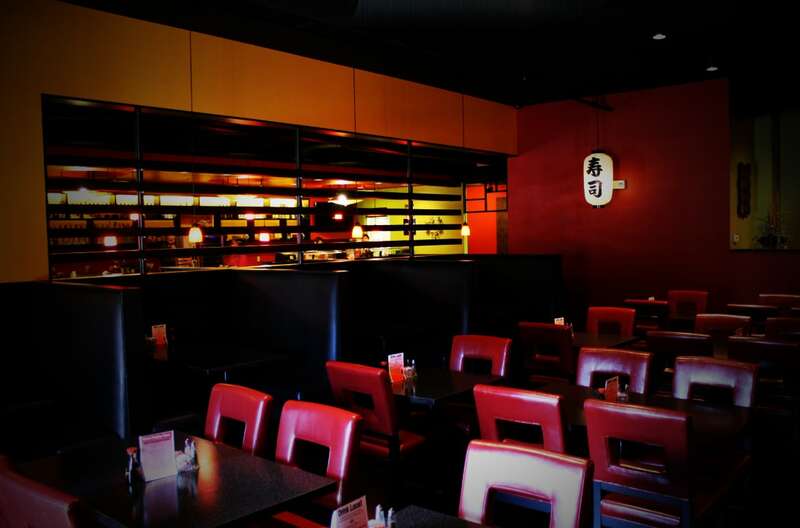 Hana Café is a locally owned Korean sushi bar and restaurant in the historic Old Town District of Wichita, Kansas. 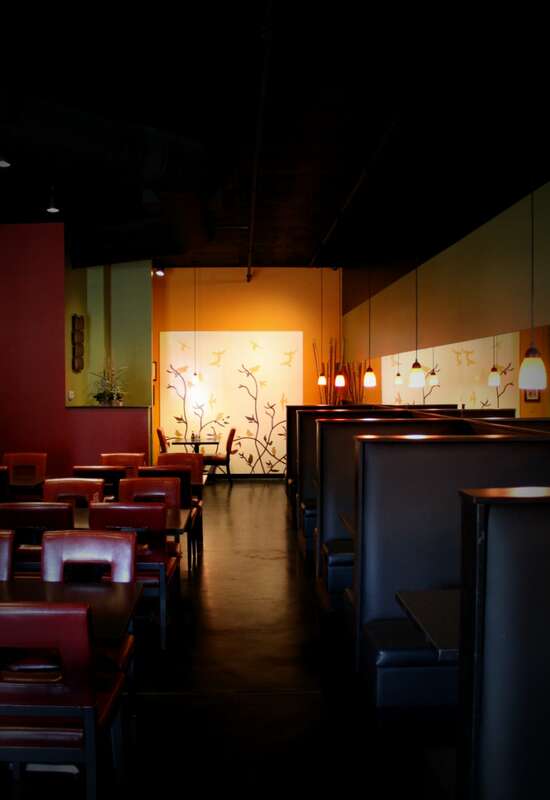 In 2010, the Owners decided it was time to double the size of their restaurant and upgrade its image from a lunchtime café to a full restaurant and bar. 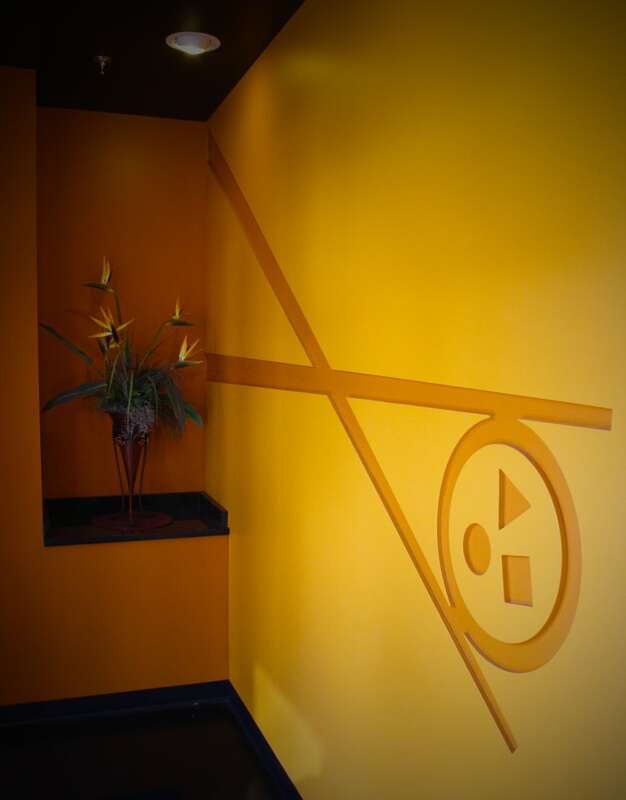 I worked closely with the Owners and an advertising agency, Howerton + White, to design and re-brand the space and business. 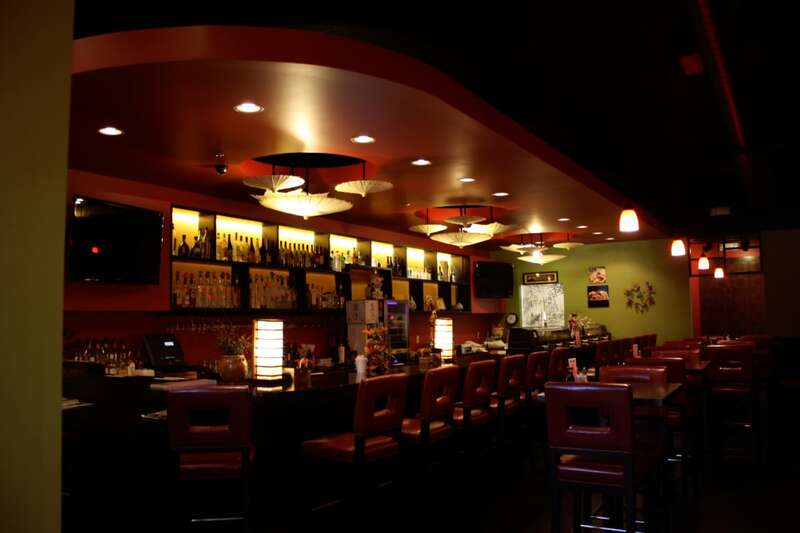 The design features include a bold color scheme, leather dining chairs, high-backed leather booths, a wood + steel screen wall, backlit bottle display and a large floating canopy above the bar.